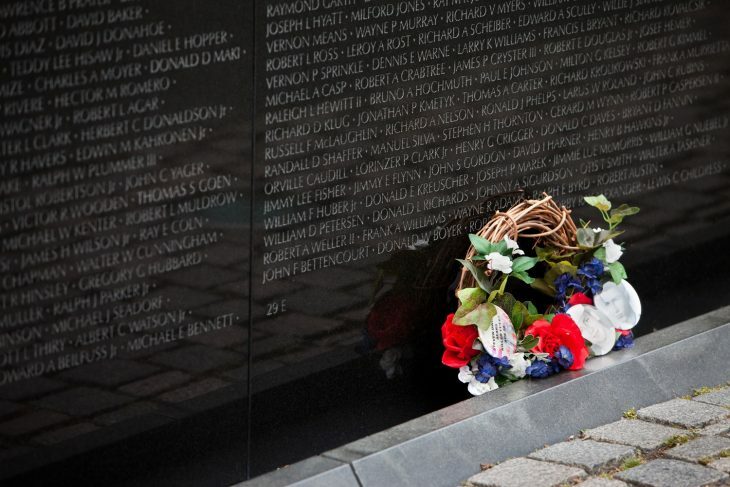 The Vietnam War Veterans Recognition Act designates March 29 of each year as National Vietnam War Veterans Day, an opportunity for all Americans to recognize, honor, and thank our Vietnam Veterans and their families for their service and sacrifice during one of the longest wars in our country’s history. On Friday, March 23, the VA Sierra Nevada Health Care System held a Special Premiere screening of the film “84 Charlie MoPic” by Writer-Director and Vietnam Veteran Patrick S. Duncan. The film is based on Duncan’s experiences as a member of the 173rd Airborne Division. Vietnam Veterans and their families attended. March 29 aboard the USS Edson, Destroyer. Vietnam Veterans and a guest can board the ship for free to tour. VA will meet them to thank them for their service. 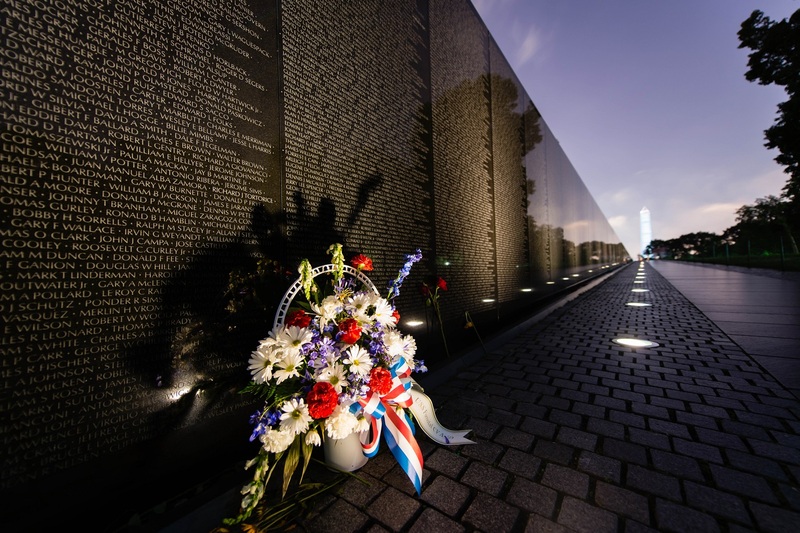 Washington DC, USA – June 18, 2016: The Memorial Wall of the Vietnam Veterans Memorial in Washington DC at dawn. On March 29, Harker Heights Vet Center, located in Killeen, Texas, will coordinate via video teleconference with Corona Vet Center in Corona, CA. SSG William J. Jones’ son, Matt Jones, will be presented with a 50-year Vietnam Commemorative Certificate as a token of appreciation for his father’s service. Harker Heights Vet Center Director Kimberly S. Bayes-Bautista became enamored with a photograph she saw posted on a social media post of a Vietnam-era Veteran some years ago. “I used this photograph in my PTSD groups as a symbol of resilience,” said Bayes-Bautista. Ultimately she was connected to the Veteran’s son, based in California, and discovered the Veteran had since passed. She wanted to take time this Vietnam Veterans Day to thank the son for his father’s service. The G.V. (Sonny) Montgomery VA Medical Center Vietnam Veterans Commemorative Event was held last Saturday, March 24. Police and Patriot Guard Riders provided escorts from the Medical Center in Jackson all the way to Tupelo (190 miles). Videos and photos on Facebook. The Department of Veterans Affairs Fort Bliss National Cemetery will honor the service, sacrifice, and enduring achievements of the Armed Forces in a 50th Anniversary event on March 30 at 3:00 pm. Keynote Speaker: Mr. Issac Camacho. The event will commemorate Vietnam War Veterans and include a pinning ceremony to all Vietnam Veterans in attendance. The Washington DC Veterans Affairs Medical Center is honored to share the stories of some of the Vietnam Veterans who receive their care there. The Dayton VA Medical Center held a “Welcome Home” celebration for Vietnam Veterans, featuring a Vietnam POW as guest speaker along with the Chief of Staff, also a Vietnam Veteran. A personal letter from the Medical Center Director was sent to all Vietnam Veterans thanking them for their service and sacrifice. The Miami VAHS is hosting Vietnam Veterans from around South Florida for a Vietnam Veteran commemoration ceremony at the Bruce W. Carter VA Medical Center March 30. Local congressional offices, county officials and Veterans groups will be in attendance to honor the men and women who served when called upon by their country. Named for Medal of Honor recipient and Vietnam Veteran Marine Corps Pfc. Bruce W. Carter, the facility sees more than 18,000 Vietnam Veterans a year. There will be a joint VA-Georgia State ceremony honoring Veterans from across the Central Savannah River Area on March 29 at 10:00 am at the Charlie Norwood VA Medical Center in Augusta, GA.
Bill Outlaw, a VA employee and Vietnam Veteran shares his thoughts. Washington, DC. USA – June 18, 2013: A flower bouquet in front of the Vietnam Veteran’s Memorial with a view of the Washington Monument in the background. 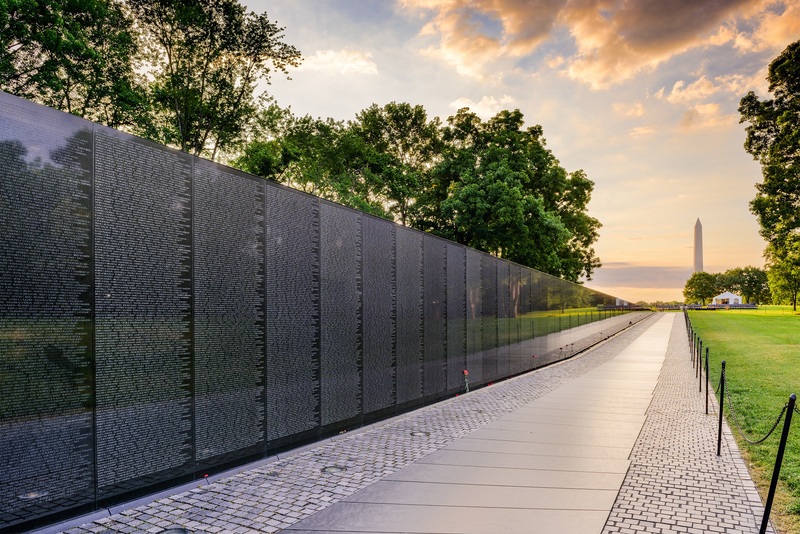 The commemoration recognizes all men and women who served on active duty in the U.S. Armed Forces during the United States’ involvement in Vietnam—November 1, 1955 – May 7, 1975. Nine million Americans, approximately 7.2 million living today, served during that period. Why don’t all honorable discharged veterans have access to VA healthcare? I am not sure this is a well known issue.